On Wednesday of this upcoming week some of us will be reviewing one book from our TBR (to be read) piles. My stack of books to be read has been growing and growing for a while. Today, I would like to share with you some of the books that I've yet to mention in my blog, but that I've quietly added to that pile. Strange things exist on the periphery of our existence, haunting us from the darkness looming beyond our firelight. Black magic, weird cults and worse things loom in the shadows. The Children of Old Leech have been with us from time immemorial. And they love us. Donald Miller, geologist and academic, has walked along the edge of a chasm for most of his nearly eighty years, leading a charmed life between endearing absent-mindedness and sanity-shattering realization. Now, all things must converge. Donald will discover the dark secrets along the edges, unearthing savage truths about his wife Michelle, their adult twins, and all he knows and trusts. For Donald is about to stumble on the secret...of The Croning. From Laird Barron, Shirley Jackson Award-winning author of The Imago Sequence and Occultation, comes The Croning, a debut novel of cosmic horror. Last year I "discovered" Laird Barron when I read one of his magnificent short stories. For a while now I have slowly been reading his awesome book of short stories, Occultation And Other Stories. Laird Barron certainly has a gift for writing speculative fiction/horror. The Croning is his debut novel and I was keeping my eye out for this title's release so I could scoop it up immediately! Many tales are told of the Syldoon Empire and its fearsome soldiers, who are known throughout the world for their treachery and atrocities. Some say that the Syldoon eat virgins and babies-or perhaps their own mothers. Arkamondos, a bookish young scribe, suspects that the Syldoon's dire reputation may have grown in the retelling, but he's about to find out for himself. Hired to chronicle the exploits of a band of rugged Syldoon warriors, Arki finds himself both frightened and fascinated by the men's enigmatic leader, Captain Braylar Killcoin. A secretive, mercurial figure haunted by the memories of those he's killed with his deadly flail, Braylar has already disposed of at least one impertinent scribe . . . and Arki might be next. Okay, Scourge of the Betrayer is a fantasy book that came up in my list of recommendations at amazon in May when it released. I picked it up right there and then because from the blurb it just sounds like the type of book that I would love to read when I'm in the mood for fantasy. I'm hoping to get a break in my reading schedule soon so I can give it some time! 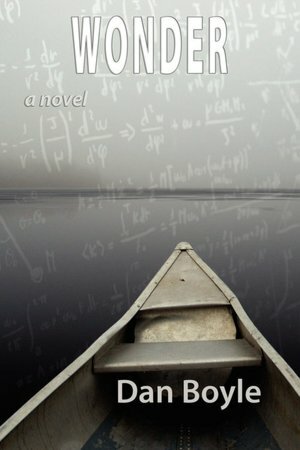 Have a gay Caltech professor and his dying mother uncovered the secrets of the mind... and the universe? Tom Flaherty's mother is suffering from a strange form of dementia that causes her to journey back in time; especially when she's housecleaning and finds personal items that trigger her memory. But Maude Flaherty's travels--from the Scopes Monkey trial in 1925 to the 1936 Berlin Olympics to the Civil Rights March on Washington in 1963--might be the evidence Tom needs as a Caltech physicist to develop a unified theory of space, time, and place and reconnect with a society he's lost touch with since the loss of his partner a decade ago. As Tom attempts to determine just what is happening to his mother, the sense of wonder that disappeared with Ken's murder returns and his renewed quest for the meaning of life leads him to the national spotlight. Housecleaning is both a gay love story and a family drama, questioning science and faith and how scientists see the universe as God. Now, here I have a book that I've been wanting to read for a long time. I placed a hold on reading this book because I wanted to get through the Vorkosigan Saga first, but you know what? I'm just going to read it! I'll get through Miles and his adventures slowly anyway. I just want to read this book! Tijuana-the melting pot of Mexico, the gateway to the U.S., the armpit of Baja California. Two million souls struggle for survival, each searching for a way to become...something, anything better. Fate brings a few strangers together one night in a crowded taxi rojo. When the red taxi crashes down a canyon, it creates a connection between the passengers that, like the international border within sight of the crash, draws a line between triumph and defeat, hopelessness and perseverance, life and death. Boyfriends Rigo and Cristian confront their demons when a supposedly innocuous tryst gets out of control. Pancha looks for love in a complex world of ambiguous gender and sexual identity. Toni's biggest problem is self-acceptance in a culture that has ingrained in him the idea that real men are macho and self-sufficient. Julia's faith is challenged as she toils to make a living and support her disabled sister, while feeling paralyzed by her sense of responsibility and lingering guilt. Even in Tijuana, light can be found in the darkness. Facing fears and giving of oneself pave the road to strength and freedom, while stubbornness and denial lead only to demise. Indigene has been recommending Mr. Orrantia's works to me for a few years now. I have Normal Miguel in my TBR and have yet to read it (shame on me), but I saw Taxi Rojo, and between the title, the setting and the blurb, it just drew me and I couldn't pass it up. So it seems as if this will be my first Orrantia read. Finally (Indie)! Have you read any of these books? Are any of these books in your own TBR? I "discovered" Laird Barron last year and am really appreciating his writing, and a genre that I thought I would never read -- horror. Have you "discovered" a writer that grabbed your interest the way Barron grabbed mine? I just finished reading Taxi Rojo this past week. I don't want to say too much as you haven't read it yet plus I'm in the process of writing the review of this one, but I think you'll enjoy it - I did! Also you must read Normal Miguel as well - there's a reason why Mr. Orrantia won the Lambda for this one. I loved the message of Wonder, but it's the character of the mother that always comes to mind when I think about this story. She's a strong character, extremely well written. So my hat off to you Hils for attempting to tackle your TBR. You know, Wonder is one of those books that I know is going to take me to some interesting places. I read the first chapter too, and I can see why the mother would be the one character to stay with you. I was fascinated by her just by reading that little bit of the book. RE: The Croning by Laird Barron. Since you love reading horror, I think you would also really love Occultation and Other Stories, Indie. I've been reading that book of short stories slowly throughout this year, and Barron has the "touch." I think you're going to enjoy his style. Nath, Scourge of the Betrayer just looks like a great adventure! I'll be reading that one when I'm in the mood... and I've been in the mood for adventures lately. 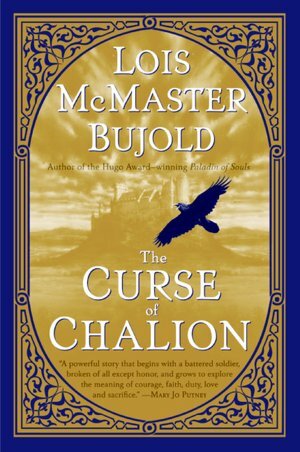 :) And The Curse of Chalion by Bujold is a one book fantasy book, instead of a whole series, so I'm excited about that one too. Last month I read most of the books I purchased, but there are always stragglers. This month, I'm already behind. LOL! I'm really interested in what you have to say about Taxi Rojo... I read to review for someone else. I had mixed feelings about it. I'm participating in the Rainbow Awards as a judge. Didn't want to post my thoughts on it, as I didn't see any other reviews on it and it made me nervous to be the first. We definitely need to talk about it, since like I said, it was mixed emotions for me. Oh that's great, Mariana! That's a great experience. Don't have any of these but the Bujold sounds interesting. I have to admit to laughing when I read the blurb for Taxi Rojo - it figures that one of the only places I've ever been outside the US is called the 'armpit of Baja". LOL I will say that further south of TJ, along the coast is/was beautiful. Haven't been there in nearly 20 years so a lot could have changed. Leslie, I've had my eye on that book by Bujold for a while and finally bought it. Now I have to read it. LOL! And I love your comment about Taxi Rojo and TJ. I've been there quite a few times and well,,, I got a kick out of the description too. And yes! I also went all the way down the Coast past Rosarito Beach (great lobster there) and to the tip to Cabo San Lucas. The coastline is/was gorgeous -- I don't know if it's overdeveloped now, but it wasn't when we used to drive down there. We had some great times on those trips too.